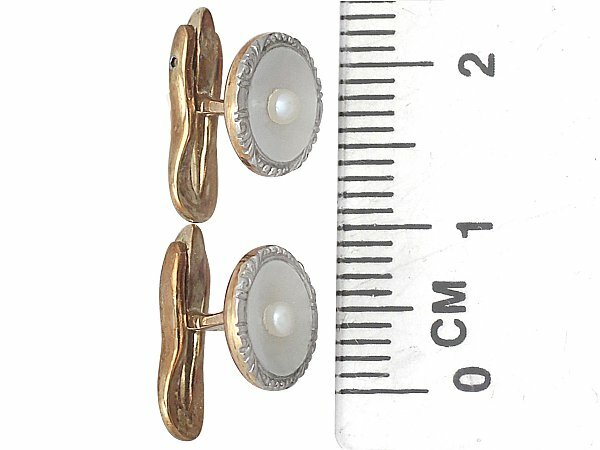 This impressive gents dress set of vintage mother of pearl and pearl cufflinks and studs has been crafted in 14 ct yellow gold with 14 ct white gold settings. 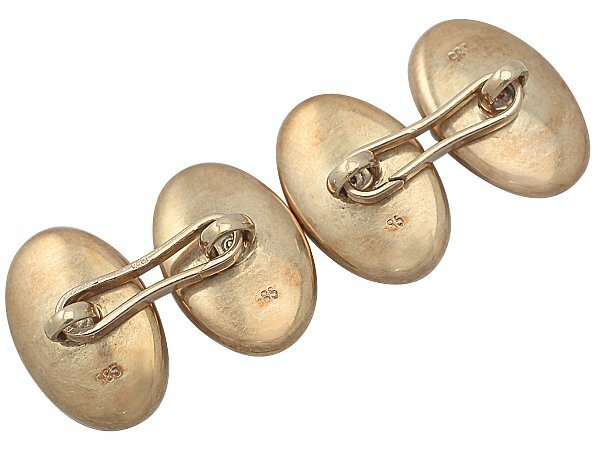 The 1950's cufflinks have an oval form, whilst the studs are circular in style. 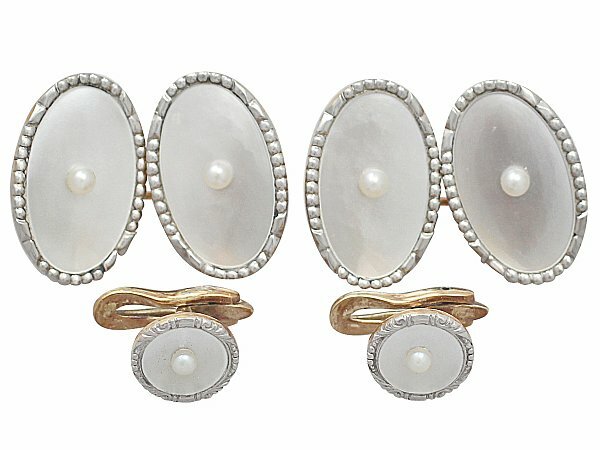 The anterior face of each link is embellished with a mother of pearl panel accented to the centre with a feature 2mm pearl. 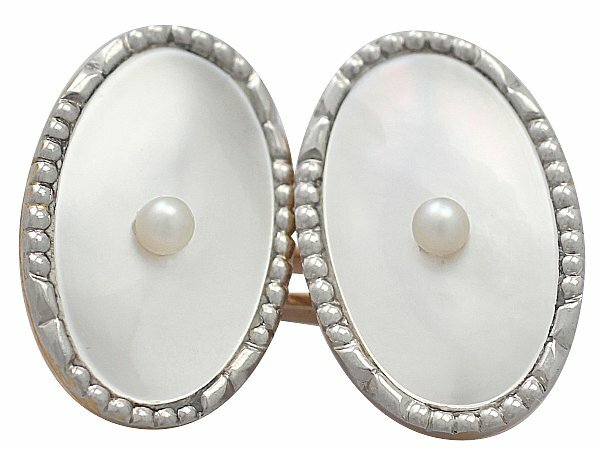 The mother of pearl plaque is encircled with a textured 14 ct white gold border. All the links have a plain and unembellished hallmarked yellow gold back. 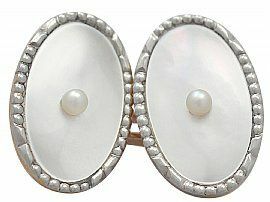 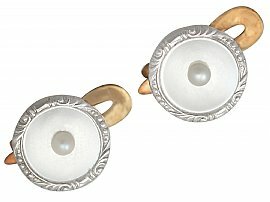 These impressive vintage pearl cufflinks articulate via an unusual yet effective organic shaped hallmarked bar. 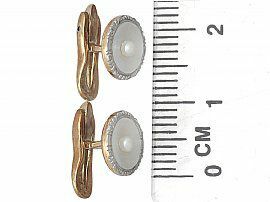 The 14 ct fineness mark (585) is clearly struck to the reverse of each cufflink and stud. 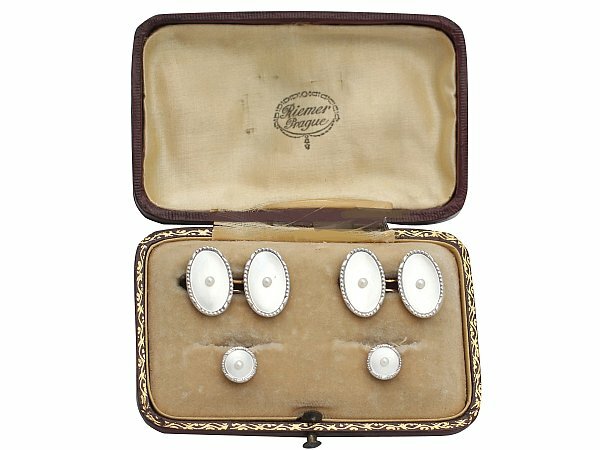 These fine vintage 1950s cufflinks and associated studs are fitted to the original hinged leatherette presentation case. 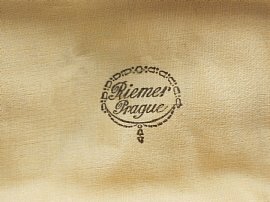 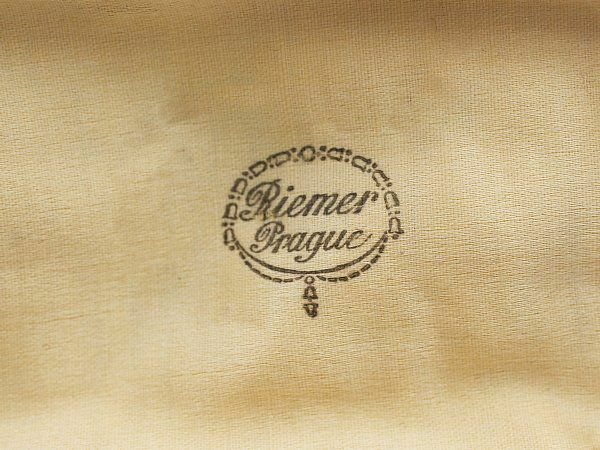 The case has a satin and velvet lined interior which displays the retailer's mark: "Riemer, Prague". This impressive 1950's gents dress set is fine quality. 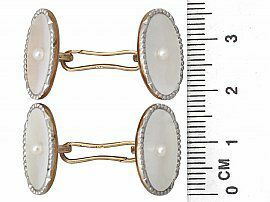 Each piece is a good gauge of gold and is in excellent condition, with a clear hallmark to each piece. The original presentation case is in excellent condition in keeping with age. 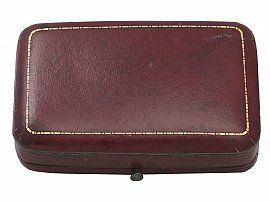 Reflections in photography may detract from the true representation of these items. Length of connector bar 1.6cm / 0.62"